Angelina Jolie's Dreamy Gown Features a Low-Cut Back — Perfect For Showing Off Her Tattoos! 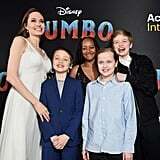 Angelina Jolie basically floated down from the heavens to appear at the Dumbo premiere with her youngest kids on March 11. While the actress's children dressed in varying degrees of formal attire for their rare red carpet appearance, Angelina went full glam in an ethereal white Atelier Versace gown. Her floor-length dress featured sheer accents along the neckline, a layered skirt, and a low-cut back — ideal for showing off a few of her many tattoos. 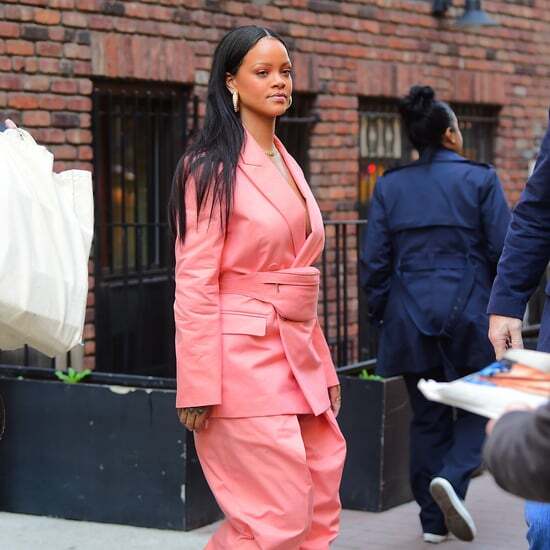 She paired the gorgeous gown with minimal accessories, instead opting for a simple pair of Cartier drop earrings and strappy, open-toed sandals. 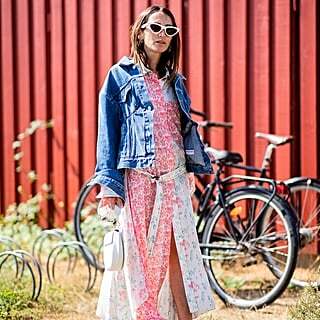 That's chic as chic can be! Ahead, see more of Angelina's jaw-dropping ensemble from all angles.